In 1975, the Rolling Stones documented their mammoth 40-show Tour Of The Americas – T.O.T.A '75 – in its entirety. A trusted friend and confidante, Christopher Sykes, was brought in to create a visual and written record of their journey. The group's fascinating work is now available as a magnificent handmade book and boxed set, in an official limited edition published with the Rolling Stones. The result is an enormous archive of largely unseen photographs, a wonderfully descriptive diary and a collection of every piece of tour memorabilia imaginable – including backstage passes and even hotel room keys. Having known Mick Jagger from the early Sixties, Christopher joined the 40-show tour at the Stones' invitation with instructions to document the tour in its entirety. 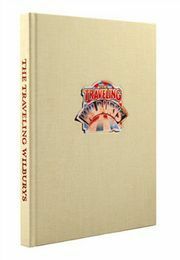 Travelling with the band in a specially commissioned aircraft called the Starship, he took a wealth of photographs, most of which have never been seen, kept a wonderfully descriptive diary and collected every piece of tour memorabilia imaginable, including backstage passes, tour manager's newsletters and even hotel room keys. Now, for the first time ever and with the Stones' blessing, this fascinating array of notes, images and paraphernalia is available in its entirety in a magnificent handmade book and boxed set - a truly memorable and rare collector's item. The photographs, diary entries and daily newsletters will take you onboard the Starship, backstage for pre-show tuning with Keith and Ronnie and to Niagara Falls with Mick. You'll experience the full madness of the tour including crew parties and Stu's birthday cake fight; the idea of elephants as 'extra security'; Mick borrowing Lisa Robinson's knickers for a show; Ronnie and Keith being charged with reckless driving and possession of a knife, and much much more. In his role as the tour's official diarist, no area was off-limit for Christopher Simon Sykes. The result is a massive and absorbing 27,000 word narrative to accompany his many hundreds of photographs. Running throughout the book there are also tour schedules, set lists, budgets, daily newsletters from tour manager Peter 'Commander' Rudge, personnel lists, sight-seeing tickets, night club passes, Rolling Stone magazine articles, letters home and postcards - the perfect accompaniment to the diary's words and photographs. 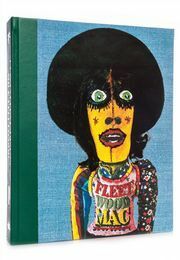 Sykes had known Mick Jagger since the early Sixties when he was invited to travel with the Stones' to all 40 shows of their 1975 Tour Of The Americas. Commissioned to document the tour in its entirety he did just that. As well as an incredible archive of photographs - most of which have never been published before - and an astonishingly detailed diary, he kept every possible item of memorabilia, even hotel room keys. T.O.T.A. '75 is created in a limited edition of 2,500 signed copies. 40 years on, just 400 of these rare books were specially made into Anniversary copies that celebrate Ronnie Wood's first tour with the band. As well as being signed by tour manager Peter Rudge and diarist Christopher Simon Sykes, these copies have been additionally signed by Ronnie Wood. 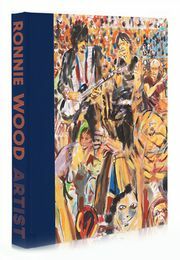 The book's new cover artwork is designed to Ronnie Wood's approval, and is inspired by his metal 'disc front' Zemaitis guitar. The instrument remains one of Wood's go-to guitars for playing slide and, as well as being played throughout the '75 tour, has appeared on many Stones recordings. The book's aluminium cover is silkscreened with the same engravings that are etched onto the front of Wood's famous instrument. Over 400 silver-edged pages are quarter-bound in leather and housed in a protective solander box. The 'Starship' is silkscreened onto the box, with lenticular images of the Stones appearing in the aircraft's cut away windows. Now binding. Order now to receive your copy in April 2019. 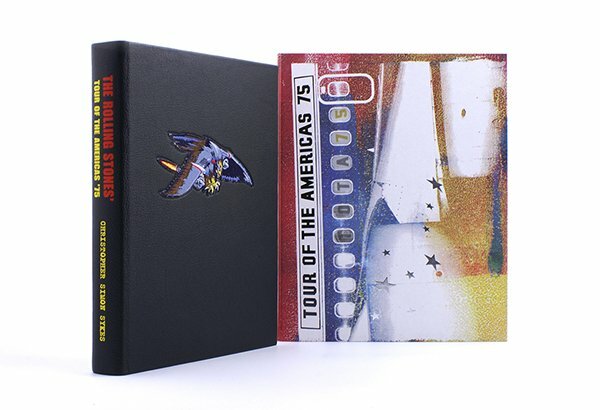 Published with The Rolling Stones, the band's official tour diary is now available in a celebratory binding. Only 400 copies signed by Ronnie Wood. Full Black Leather, Eagle Patch, Typeface Page Edging.